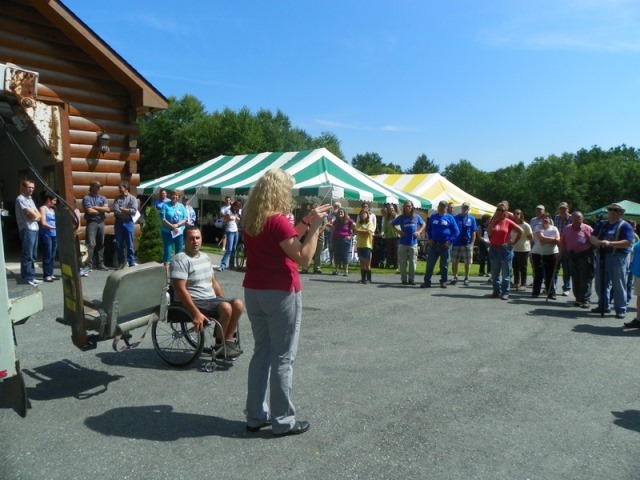 The Vermont AgrAbility Project hosted its first ever Field Day event on August 20th. Coordinated by University of Vermont (UVM) Extension and Vermont Center for Independent Living (VCIL), the Field Day was held at Young's Milky Way Farm in Springfield, VT. Many of you who have attended the AgrAbility National Training Workshops probably remember Kenny and Kelli Young, the operators of the Farm. The intention of the Field Day was to create a community and connections for those farmers who could benefit from AgrAbility services. The event also served to broaden awareness of AgrAbility services through attendance and the intensive publicity surrounding the Field Day. 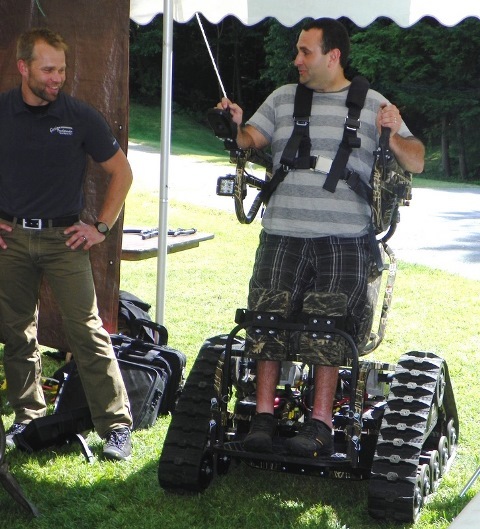 The highlight of the day was watching Kenny , who is paralyzed from the waist down due to a snowmobile accident eight years ago, transfer from his wheelchair to a tractor using the self-modified lift from a decommissioned line truck. Kenny's and Kelli's ingenuity is apparent around the farm and around their house. Home modifications include a stovetop, microwave, and sink that are easy for Kenny to use from a wheelchair. The kitchen cabinets can lower electronically so Kenny can reach dishes and glasses, and by raising the cabinets when he's done, they don't lose counter space below. 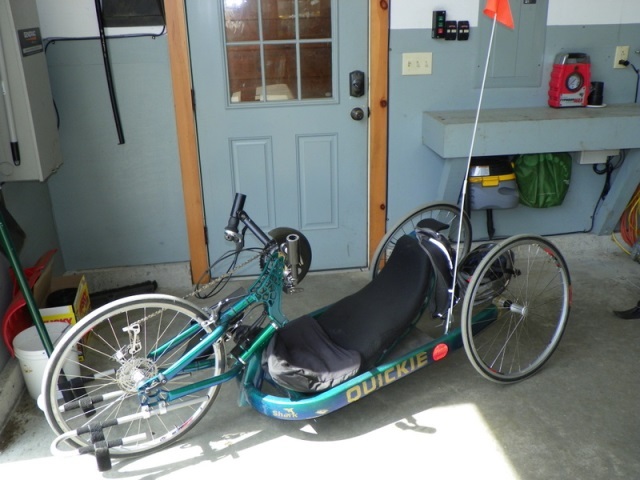 Ask Kenny what he does for exercise and for fun in a state that is known for skiing t o shake the long winter blues and for biking to enjoy the beautiful countryside; he'll say, "well I ski and bike". 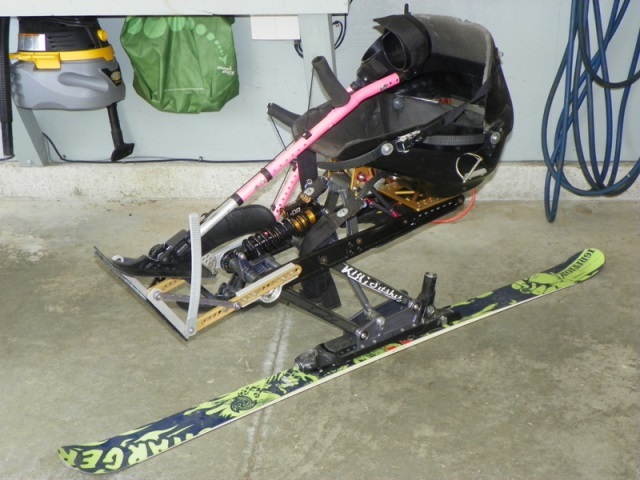 Not only does he ski, he teaches others with paralysis how they too can ski. UVM Extension and VCIL staff were thrilled to have seventy-five people in attendance. Locals in attendance spoke of coffee house chatter regarding the Field Day, so event coordinators know that radio spots, television programs (UVM Extension's, Across the Fence), newspaper articles, poster advertisements, and social media reached many more than just those in attendance. The Field Day provided a wealth of information from vendors and other related organizations. In attendance with fully staffed information booths were: Vermont Center for Independent Living, University of Vermont Extension, Farmer Veteran Coalition, GetATStuff, Vermont Farm Bureau, VocRehab, Priority Medical, Farm First, Action TrackChair, and the Amputee Coalition of America represented by Ms. Abilities America, Dianna Allen with a wonderfully positive and motivational presentation. 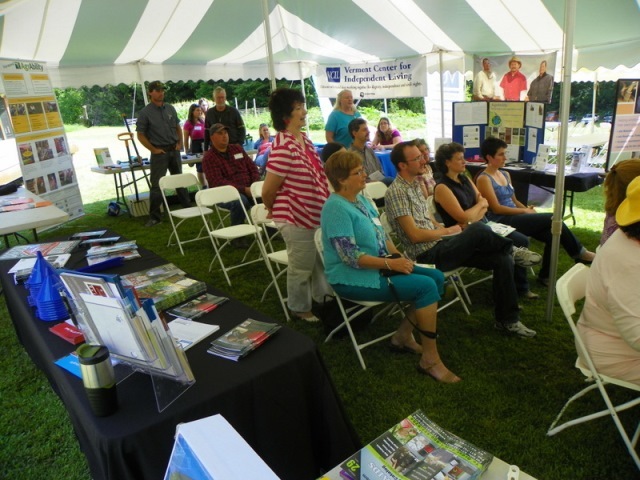 Vermont AgrAbility Project staff look forward to hosting another Field Day in 2015 in a different part of the state.